Tickets for the Dance and Music Showcase and the Music Recital are for sale! The End of the year Recital performed by IHOF music students and teachers. 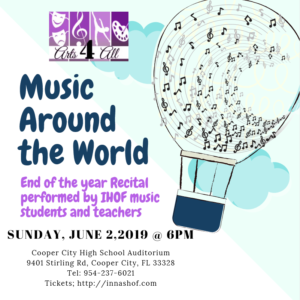 Music Around the World on June 2nd at the Cooper City High School Auditorium. The 2019 End of the Year Dance and Music Production. 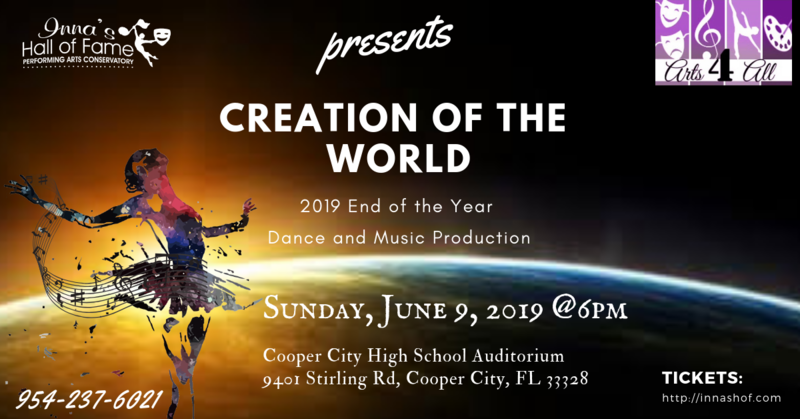 Creation of the World at the Cooper City High School Auditorium on June 9th. 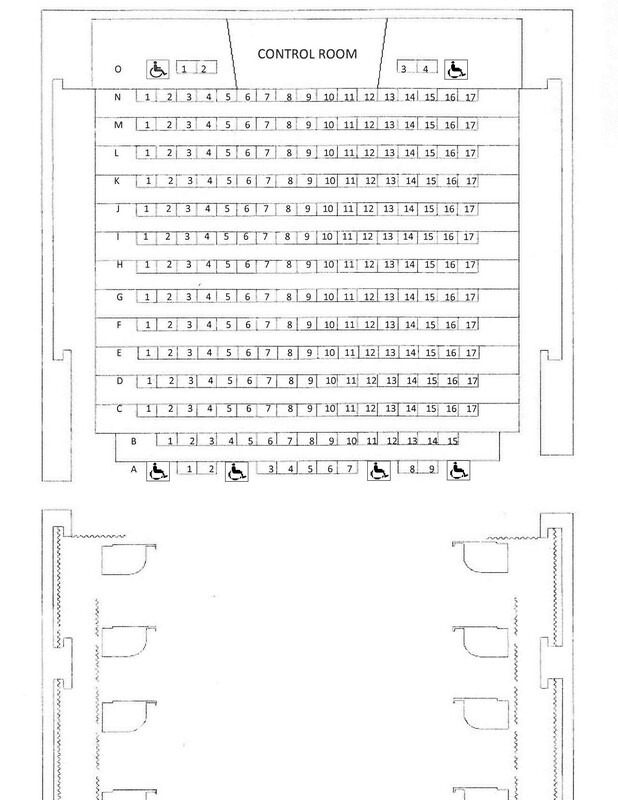 Do you want tickets to seats in the Front or Back? 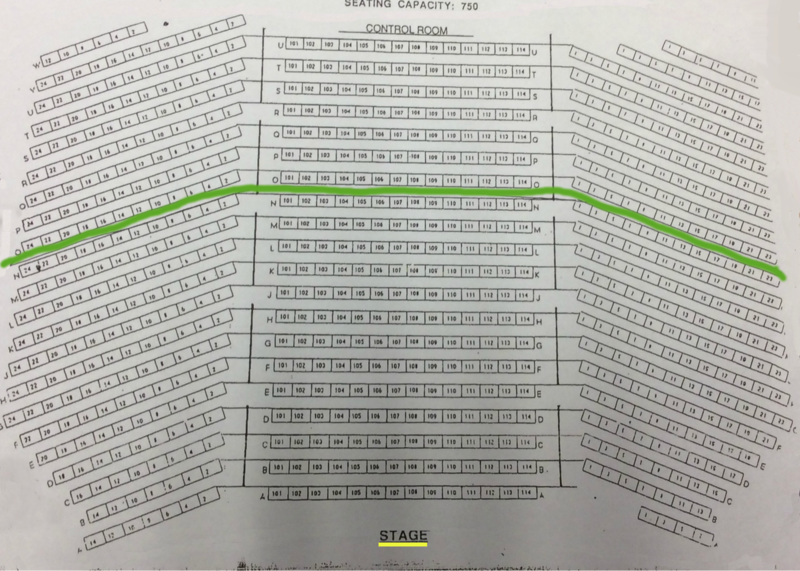 Be sure to check the seating chart.